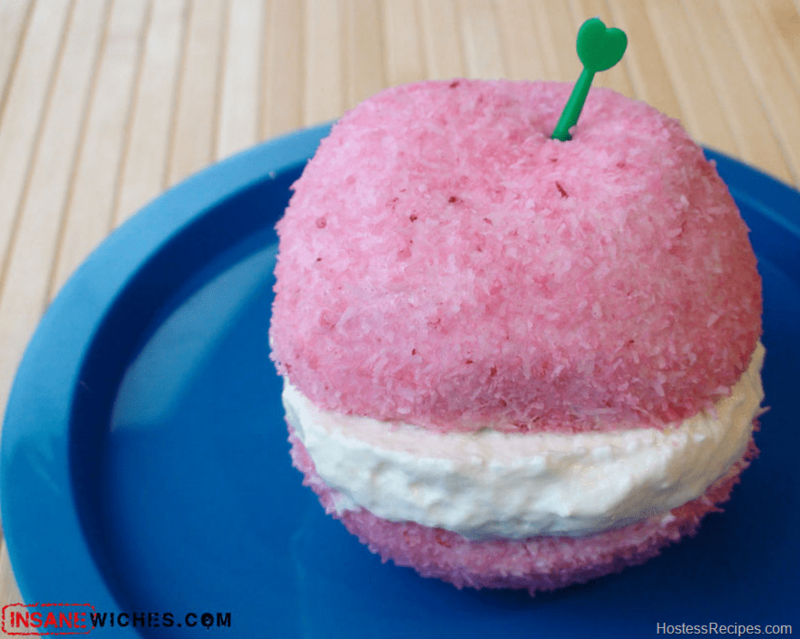 Take a Hostess Pink Snoball and cut it in half. Add cream, perhaps reddi whip cream from a can, put together and what have you got? an extra creamy Snoball sandwich, so yummy!